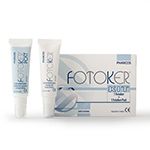 FOTOKER leaves a protective film on the skin in a way that can prevent DNA damage arising due to UV rays, which predispose toward various forms of skin cancer, thanks to the presence of Photolyase and Tripeptide. 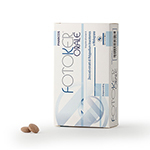 FOTOKER ORALE is a food supplement containing zinc and PP Mix ™. Zinc contributes to normal DNA synthesis; polypodium leucotomos is useful for trophism and skin functions, while pomegranate has an antioxidant action. Gluten free. 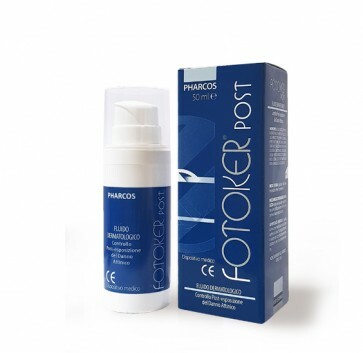 FOTOKER POST, applied after exposure to solar and/or ultraviolet radiation, leaves a protective film on the skin that can prevent the appearance of DNA damage induced by non-ionising UVA and UVB radiation which are precursors of various forms of skin cancer, partly due to the presence of endonucleases in liposomial form.